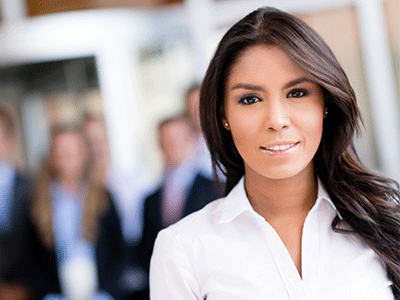 Networking is the bane of many a job seeker’s existence, but it doesn’t have to be. Just think of it as a series of relationships: from schoolmates to old coworkers to that nice friend-of-a-friend you met who works at your dream company, networking just means forming and maintaining connections with people who know you best. You need people in your corner—loyal folks who will think of you when a job opens up at their office. Here are some tips for expanding your network. Before you know it, you’ll be in a better place. Giving genuine compliments is one of the key parts of being a better communicator and networker. As Andrea Nierenberg says in her book Nonstop Networking, “When you listen to someone carefully, often they will mention something about which they are proud. Think for a moment and find a way to acknowledge the person’s achievement.” When you demonstrate in an intimate way that you are paying attention to what the person is saying, that person will remember you. Practice giving one compliment a day. Don’t knock LinkedIn; it’s a free way to maintain professional connections with others who might help you advance in your career. While it’s easy to ignore it or passively accept other people’s invitations, you should really use it to your best advantage. Think of it as a professional calling card. It’s going to be the first impression that many people have of you, so it’s worth it to invest some time and energy into making it count. You have 24 hours after initial meeting to follow up with a new contact. Whether it’s through sending a quick email, offering help, or connecting on LinkedIn, be sure to follow through and get it done. Remember that you’re not just forming a relationship with one person, you’re getting in touch with her whole network, too. Following up is the first step to truly widening your circle of potential contacts. People actually like being asked for advice. It’s a great way to have a conversation with someone and learn information that could be useful for your career. Sending an email asking for advice that makes it easy for the person to respond will ensure that the communication is not ignored. My mom always said, “It’s easiest to get a job when you already have one.” This advice still holds true today. You’ll have more to offer potential networking contacts, and they’ll be more attracted to forming a relationship with you. In addition, companies want to hire top talent, and the perception is that those people are probably already gainfully employed. When you do go through the interview process, you will have more confidence and greater leverage. Nobody wants to be around, or hire, someone who is desperate. Does the word "networking" make you cringe? Maybe that is why many shy away from the very skill that can help them personally and professionally. 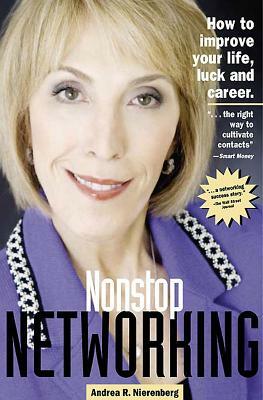 In Nonstop Networking author and personal marketing consultant, Andrea Nierenberg, reveals unique and easy-to-use strategies for linking-up with people in order to achieve mutual personal and professional goals.